In a world full of conflict and strife, every flower that blooms offers hope of a better tomorrow. Flowers are the eternal symbol of life and celebration of life. A country that is known as a place for equality, tolerance and mutual respect in Canada. Millions of people of all ethnicity, faiths, languages, and persuasions call this nation home. Canada is known for its high quality of life. 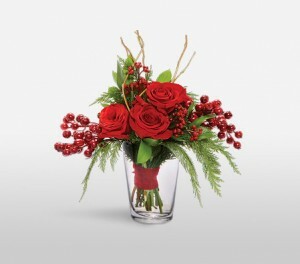 The Canadians are celebratory people who make gifting flowers in Canada a traditional practice. Read our guide in order to navigate the tricky waters of gifting flower in Canada. Since Canada was once ruled by the British, the Red Rose has a special significance to the Canadian people. Red Roses are the universal symbol of romantic love. Alstroemeria is the flower of hope & platonic love. Asters are a symbol of daintiness and delicacy. Symbolizing gratitude, affection and admiration Carnations are a star at weddings. Daisies are the embodiment of purity and innocence, often used to symbolize loyalty. Hydrangeas are often used to express thankfulness and gratitude. Lilies symbolize health, luxury and certain colors are also thought of as flowers of mourning. 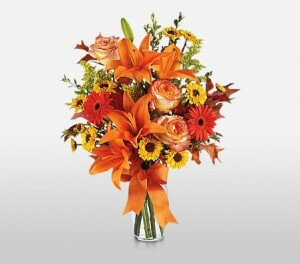 Gerberas are colorful flowers of hope and beautiful symbols of care and concern. Chrysanthemums stand for good humor, rest and cordial relations. Orchids, especially Red and Purple Orchids are among the ultimate expressions of love, fidelity and romantic passion. Canada is a veritable multiverse of ethnicity, religions, creeds and cultures living in harmony. Thanks to this diversity, floral gifting in Canada can be tricky because of the multitude of meanings different people and cultures associate to different flowers. Fear not, in this section we take a detailed look at the most important flower gifting days in Canada, and help you make the right choice of flowers for your floral arrangements. Love is in the air in the month of February and Canadians (like most other cultures) feel stung by Cupid’s arrows. Little wonder then, that when Valentine’s Day comes calling, couples of different races, ethnicity and regions simply flock to express their love and adoration of each other. Flowers, ribbons, balloons, wine, cake, cheese and teddy bears are all popular gifts that Canadian couples indulge in. Some of the most popular flowers for the occasion include red Roses, Carnations, Asters, Lisianthus, Daisies, Chrysanthemums and of course Hydrangeas. In Canada, equality of the sexes is both promoted and celebrated. Especially in the economic sphere, Canadian women contribute a huge chunk to the work culture and progress. From education to industry, business to leisure and hospitality, the home and every place in between. With so many roles essayed effortlessly by women, it is little wonder then, that Women’s Day, celebrated on 8th March is such an important occasion. Appreciating the roles of women then calls for a glut of floral arrangements, and popular flowers for this occasion include, Roses, Asters, Lilies, Gerberas, Delphinium, Hydrangea, Orchids, Daisies, Chrysanthemums, Carnations and Wax Flowers. 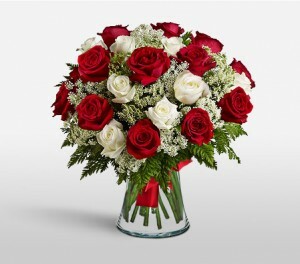 If you are looking to celebrate your wife, a bouquet of Roses, Orchids and Lilies would be perfect; however the same would be inappropriate because of the symbolic meaning of the flowers, for someone like your boss, or secretary. Research the meaning of flowers before buying a floral arrangement, in order to avoid a major embarrassment. 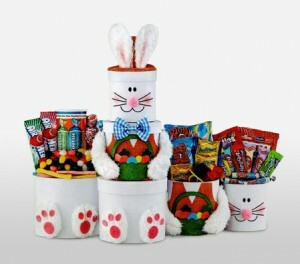 Easter is celebrated as both the feast of the resurrection of Christ, and as a pagan Spring festival. Celebrated between March and April, coinciding with the advent of spring, this festival, coincides with a time in Canada, when nature is at its flowering best. Seasonal flowers in full bloom, mean than there is an incredible variety of flowers on display, and available for gifting as floral arrangement to. So the next time you’re looking to surprise family and friends with a beautiful floral bouquet or arrangement for Easter, look to incorporate Orchids, Carnations, Roses, Daisies, Asters and seasonal flowers to really give them a gift they’ll never forget. Easter is both a solemnity and a time of rejoicing, while Roses and Daisies are wonderful flowers for the season, look to throw in Roses and Lilies into your bouquet too, as these are traditional flowers associated with the festival. In Canada, Mother’s Day is a holiday that is easily on par with any religious festival. After all, the role of the mother in Canadian culture makes her virtually indispensable to the family and indeed to the fabric of society. So the third Sunday in May is designated as her day. On this day the mother is virtually placed on a pedestal, and is pampered by her doting children with dinners, gifts, flowers and candy (among other things). 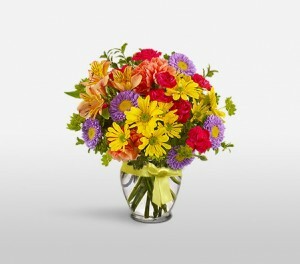 Looking for a great floral arrangement for your mother, on her special day? Ensure that these flowers are a part of the mix: Roses (in all their hues), Carnations, Orchids, Lilies, Daisy, Hydrangeas, Chrysanthemums and Delphinium. Mother’s Day is a special occasion where you would love to pamper and indulge the first woman in your life… well floral arrangements aside a surprise brunch and a handwritten note, are wonderful way to show that appreciation. While ‘All Hallow’s Eve’ (Halloween) or the night before ‘All Saints Day’ is popularly known as the night when parents take their kids ‘trick or treating’, it is also a beautiful celebration of family, fun and togetherness. Of course then this calls for beautiful floral arrangements among the motley decor of carved pumpkin heads and the macabre. Halloween also sees many parties and soirees where people come together and have fun. Gifts are exchanged and this means that a beautiful bouquet would come in handy, as quite a treat. Make sure that your Halloween bouquet has these flowers in them: Roses, Carnations, Orchids, Daisies, Gerberas, Asters, Lilies, Wax Flowers and Iris. A thoughtful addition to your Halloween bouquet would be a bottle of wine and a crackers and cheese hamper for the host of the party. The popular carol, “White Christmas’ was literally written for a Canadian Christmas. Snowfall and sleet blanket the country and Christmas comes literally to reinvigorate the spirit of the Canadian people. Celebrated with gusto and with the whole family, Christmas is as much about food as it is about togetherness, where the stars of the show are the Christmas roast, turkey, honey glazed ham and Christmas pudding. Flowers too play a major role in this celebration as they are a part of both decor and gifting. Most floral arrangements around the festive season include Carnations, Roses, Daisies, Lilies and Wax Flowers. Winters in Canada can often mean the short supply of essential decorative flowers and as such booking your arrangements and bouquets well in advance would make amazing sense. Flowers have been an integral part of human life for millennia. As beautiful expressions of love, friendship and positiveness, they are wonderful gifts to the people closest to you. In Canada, as with the rest of the world, special days and personal occasions are celebrated with great fervor and enthusiasm. Floral arrangements and bouquets are a huge part of these celebrations. So here’s a primer on choosing the right flowers for the right occasions in Canada. Birthdays are a very important personal milestone in Canada. They are celebrated with lots of gusto and with friends and family coming together and surprising the person whose special day it is. Gifts and floral arrangements play a very important role in this surprise, and so special care must be taken to make sure they are just right. The flowers to go with: Roses (depending on your relationship with the individual are a popular flower in the birthday floral gifts. Teaming these with Lilies, Tulips and other flowers is a good idea. Combinations: Cakes, Plush toys and Wine (again depending on the age of the recipient) are excellent and thoughtful gifts. 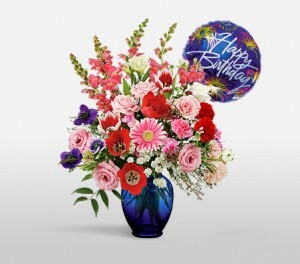 Birthday Greeting: Flowers and gift hampers are two out of a trio of birthday gifts that is completed by a greeting card. For someone special, think of a nice, personalized message, for instance: “This day is special to you, and you’re special to me. So this is one of my favorite days of the year. I wish you all the love and good things. Have a memorable birthday”. 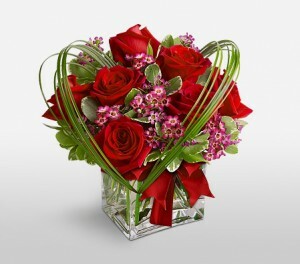 Hand tied floral arrangements, or an arrangement in a basket or vase are extremely popular. Think of your relationship to the person celebrating a birthday. Certain flowers like Roses are best gifted to close relatives or lovers. For friends think Carnations and Gerberas. A wedding is the celebration of a lifetime of commitment. In Canada, the predominant style of wedding is a church wedding followed by a reception (open air or in a banquet, depending on budget or weather). 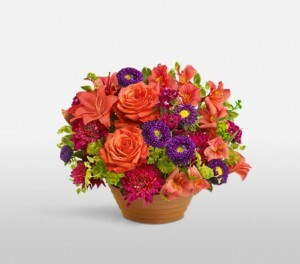 Both these events are excellent occasions to gift flowers and floral arrangements. 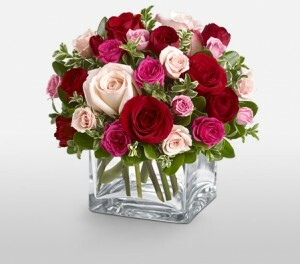 The flowers to go with: Think of Roses as a celebration of love. Lilies, Orchids, Chrysanthemums and other flowers are also considered desirable in wedding bouquets. Combinations: Canada has a tradition of bridal registries. Ask the couple where they’ve registered and combine your floral arrangement with a gift the couple have on their wishlists. Hand tied bouquets make a classy, artisanal statement. Though S-shaped and vertical arrangements are also a popular choice at weddings. Ask your florist to use only the most unblemished flowers. In fact inspect the flowers in person if possible, as any blemish on a bouquet is considered as a mark of disrespect. In Canada, funerals are a solemn, somber affair, where those closest to the bereaved family, come to pay their respects to the deceased. Flowers and wreaths therefore are a wonderful sign of respect and love for the one who has passed on. Choosing Condolence Flowers: As with most Western cultures, Canadians also view white flowers as appropriate for solemnities like funerals. Therefore Lilies, Carnations, Chrysanthemums and White Daisies, even White Roses are popular flowers in a funerary wreath. While White Flowers are the standard at a funeral. 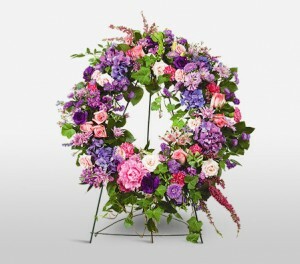 Ensure that the flowers are fresh and have no marks on them as this would be considered disrespectful to the deceased. Where Do Flowers In Canada Come From? Canada is a progressive and wealthy North American state. Personal and communal celebrations are a huge part of Canadian life. This means that as a consumer of flowers, the market demand is extremely high. While Canada’s local nurseries and horticulture farms, do produce a wide array of popular gifting flowers, the nation is also an important importer of flowers from across the world. Some of the countries it imports from include China, India, Central and South America, the United States, The Netherlands, Belgium, Japan and Germany. Always research the meanings of flowers: Every culture attaches a different symbolic meaning to flowers. To be on the safer side, it is best to read up on the meaning of flowers, before presenting a floral bouquet to your Canadian acquaintances, friends, or family. Choose fresh, seasonal, flowers: Fresh, seasonal flowers keep longer, are hardier and add a real colorful and thoughtful touch to any floral arrangement. Display floral arrangements in a clear vase when possible. Monitor the water and change it every few days. Prune stems every few days, this helps keep the flowers fresh. Add some lemon juice to the water, the citric acid helps freshen flowers. Follow the care instructions that come along with the arrangement. Canada is a warm and friendly country that celebrates occasions and personal milestones with great fervor and enthusiasm. Floral arrangements play a vital role in these festivities and with our handy tips you can gift your family, friends and business contacts in Canada, floral arrangements confidently and with no fear of any impropriety or embarrassment.